The prime objective of this report is to analysis Foreign Exchange and Foreign Trade Department of IBBL. Other objective of this report is to find out the answer of the following questions: How is IBBL supporting Import trade? How is IBBL supporting Export trade? 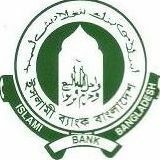 How IBBL does remit foreign exchange? and How does IBBL utilize foreign funds? Consumer Credit Scheme of Prime Bank Limited.